The banking and financial services industry has recently plummeted into the "least trusted groupings" of industries. And not without reason, as this blog and others have pointed out. But of course, that’s not true of everyone. There are some interesting examples of trustworthy and successful behavior in the financial sector. Here are two. One of the Four Principles of Trust is to adopt a long-term perspective, focusing on relationships rather than transactions. What would you think of a financial advisory business that invests in new clients five years before seeing a return? That is pretty unusual for the financial advisory business. Normally, the focus is much shorter term. In addition, garden variety wisdom in financial advisory is that you look for high net worth clients, because the typical compensation structure for the business varies with asset levels. What would you think, then, of an advisory business that focuses on lower net worth individuals? Hanson McClain has adopted both these heretical approaches, and married them to a narrowly defined and specialized target segment — retirees from the telecommunications and public utilities industries. The results are striking. That segment has been relatively stable, with excellent retiree benefit plans, and has a disproportionately high percentage of its workers due to retire in the not-too-distant future. It also has some arcane aspects to its retiree plans. But this isn’t just smart segmentation and targeting. 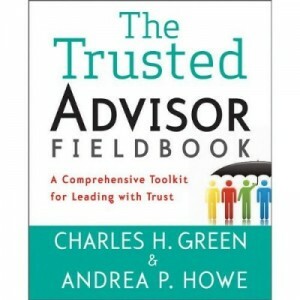 If the common short-term orientation and focus on “big is better” had been applied to this group, the advisors would not have generated the tremendous referral network they have. The effect is to lower cost of sales, since existing clients identify and market to new ones, which also then increases sales yield rates. Trust is key to it. Ed Thauer, Jr., runs a full service financial agency. He started in insurance 34 years ago, and branched out. He has gotten his business to Top of the Table status in the Million Dollar Round Table system. (That means he’s done very well). Ed attributes his success to a variety of things, but one of them stands out. Ed still does all his own enrollments. That means he personally does a job that is all-too-tempting to parcel out to others—initial data collection. Not everyone does this; automating and delegating is an obvious way to make your time more efficient—right? So why does Ed do it? Ed is also partial to a particular sales model for his industry—but clearly the model hasn’t gotten in the way of his central view of personal connection as key to the customer relationship. Yes, there is trust in systems. Reliability, accuracy, comprehensiveness are all trustworthiness-enhancing variables. But their impact is less than the softer sides of trust—intimacy and low self-orientation; a sense that the seller actually does care about you. I haven’t met Ed, but I think he gets that.